As an entrepreneur you are probably always looking for ways to maximize your productivity, to increase your output and to enhance the quality of your work. One area of focus may be your own physical and mental capacity. 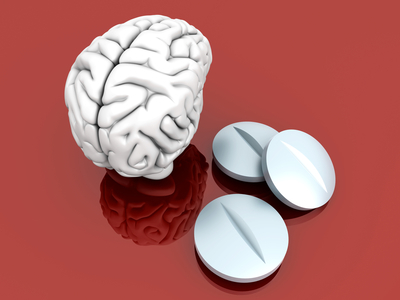 If so, chances are that you have come across the term nootropics – also known as smart drugs. Nootropics (smart drugs) are supplements designed to increase your brain power by enhancing focus, concentration, creativity or some other aspect of cognitive ability. If you have seen the movie or TV Show, Limitless, you know what I am talking about, but for real. There is some truth to the premise of that show and it seems more and more people are using these enhancers. But . . . how should they be used, and do they really work? Let’s take a look. When doing your research on line regarding nootropics (or cognitive enhancers), you will often find information on modafinil, Piracetam and phenibut. There will also be information on caffeine, Adderall and l-theanine. The main purpose of these supplements is to increase specific neurotransmitters in the brain – such as dopamine which increases alertness and energy levels, modulates focus, concentration and memory. Basically, this is how l-theanine and modafinil work. The precise mechanisms of action of Piracetam are not fully known, although it touted as being helpful in improving your cognitive ability, boosting focus and concentration, and improving your mood and motivation levels – active on the brain and nervous system to increase certain types of activity between neurons. Phenibut binds to the GABA-B which relaxes you, making it useful in stressful situations – and also as a sleep aid. Should You Use Smart Drugs? Even though many people are using them and they seem to work, I would say proceed with extreme caution – and my personal recommendation is . . . don’t use them at all. They have not been around long enough for researchers to be fully aware of the long-term side effects – and the mechanisms of action are not totally understood. As a result, you could be gambling with your health and your life. Some of them are known to be addictive and may irrevocably alter your normal brain chemistry in dangerous ways and lead to other complications. The human body is a miraculous gift we are given at birth. With it comes our amazing brain that creates an intricate mix of neurotransmitters for a reason. With our limited understanding of the brain, it seems foolhardy to blindly tamper with the way it works. Creatine – to improve the brain’s ability to utilize ATP for energy. MCT oil – to provide the white matter with ketones. Amino acids from which all of our neurotransmitters are made. Omega 3 fatty acids to increase cell membrane permeability. Choline which keeps cell membranes healthy. Using these supplements in combination with a healthy routine, including adequate rest and a healthy, nutrient-rich diet (free of additives) will provide far greater cognitive benefits than running the risk of creating a neurochemical imbalance. 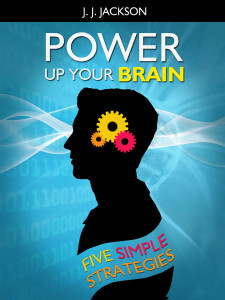 For more information on how to develop a healthier brain, read my book: Power Up Your Brain (Five Simple Strategies).